There are three things you should know about Sam Mendes’ production of King Lear: it’s modern dress (more about it later), it achieves quite a few revelatory moments in the interpretation of the text (more about them later) and has a brilliant Lear in Simon Russell Beale. 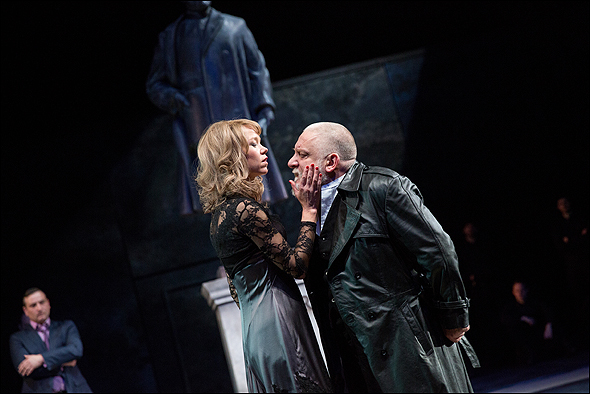 Maybe it’s true of King Lear what is true of Hamlet: it’s easier to have a brilliant central performance than having a brilliant production. If Sam Mendes’ King Lear falls short of true greatness, that’s more of an observation than criticism. The experience is rich and the rewards many, and any shortcomings become part of an intensely rich dialogue with the audience. That was unexpected: could it be that the Royal Court weekly rep season, rough, quick and unpolished, produced one of the best acting performances of the year? 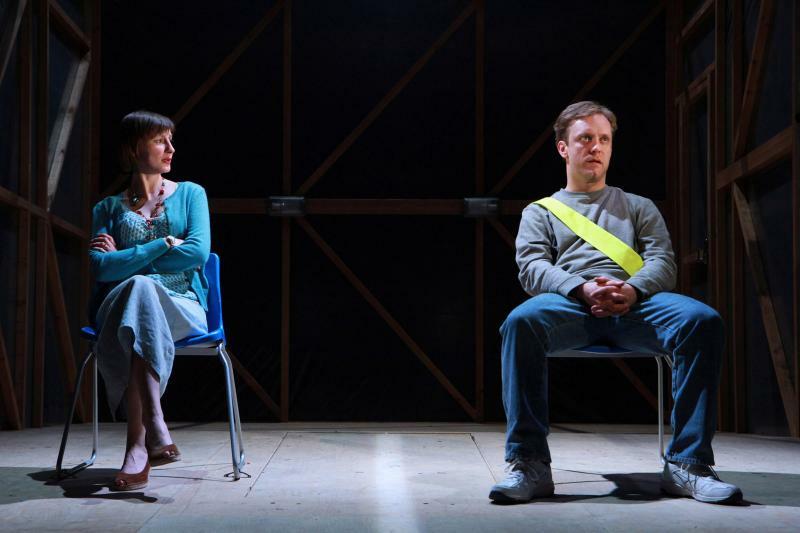 When the time comes and I look back on 2013, I have little doubt Sam Troughton playing Alan in Clare Lizzimore’s Mint will be a definitive theatre moment of the year. 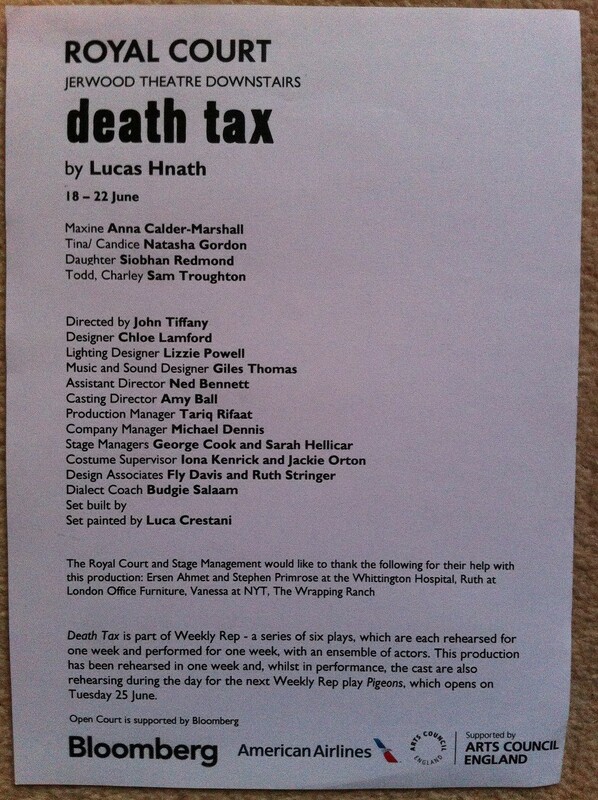 Lucas Hnath’s Death Tax, the second play at Royal Court weekly rep season, starts at the same box of a set The President Has Come to See You occupied, but the similarities end here. While “The President…” was a seat of the pants experience, certainly for the actors, Death Tax is a thoughtful, funny, exposing play about life close to death and life without death. The characters are defined by questions of mortality, money, the moment when their response to a moral and practical challenge changes their life, whether they realise it or not. New artistic director, new bar. New adventures. Last night was my first time at the Royal Court since Vicky Featherstone took over and some of the changes were immediately apparent. Nice use of space at the bar, mismatched furniture, greater variety at the menu and food served till late. I heartily approve. I can see many more theatre friendships forged there. New adventures, new rules. 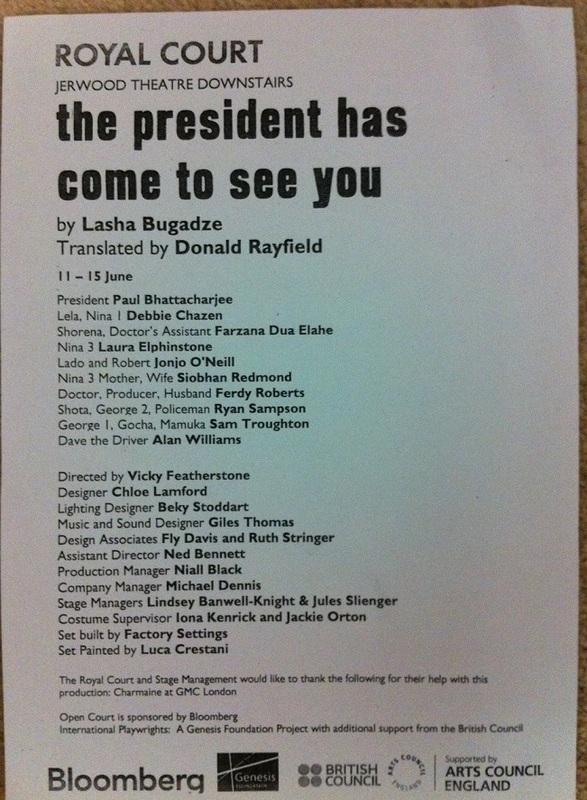 The President Has Come to See You, by georgian playwright Lasha Bugadze, is the first of six new plays performed by the same cast who only has a week to rehearse and perform each play. It’s fast, exciting, a little bit messy, and there is not enough time to feel the panic. 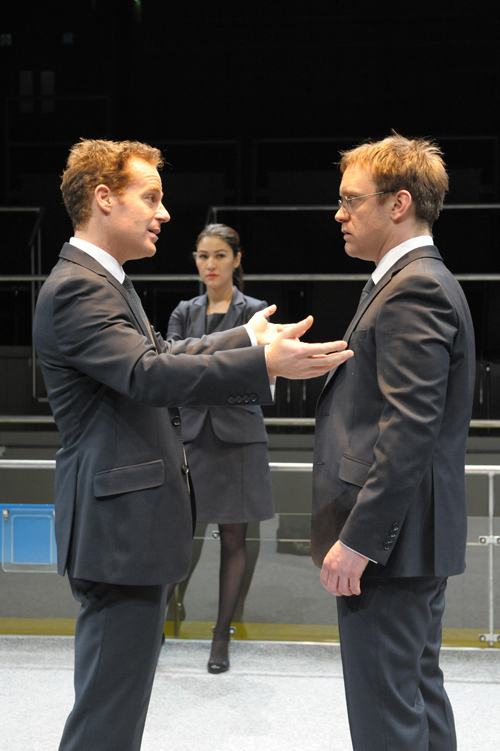 From left: Adam James as Tony, Eleanor Matsuura as Isobel and Sam Troughton as Thomas. Photo Robert Day. Towards the end of Mike Bartlett’s Bull*, as performed at the Crucible Studio under the direction of Clare Lizzimore, I looked across the stage at members of the audience sitting opposite me: a woman was watching with her mouth open and a horrified expression. A man had his head slightly bowed, like he wished not to see but not able to stop himself. 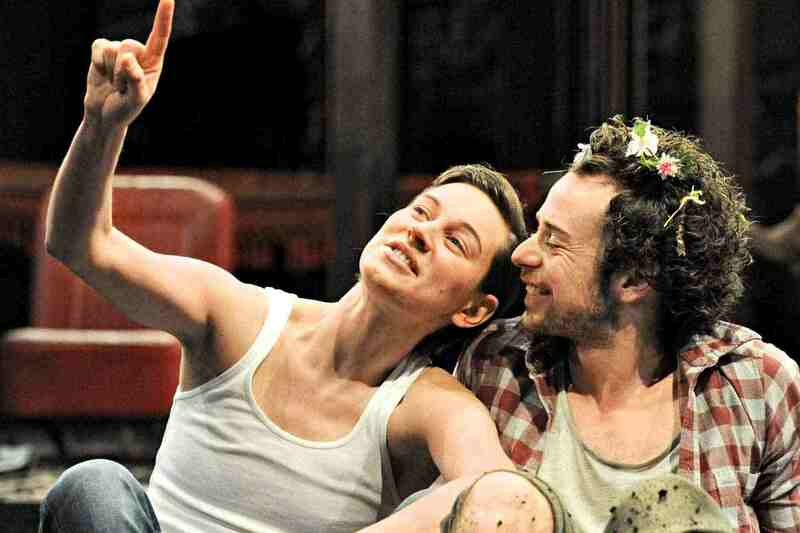 All with good reason: the last ten minutes of the play are as brutal and horrifying as anything I have seen on stage. And all that, without a drop of blood or physical violence. But let’s get back to the beginning: as the back page of the text points out “Two jobs. Three candidates. This would be a really bad time to have a stain on your shirt”. Or maybe, this would be a bad time to imagine you have a stain on your shirt. Tony, Isobel and Thomas are waiting for a meeting with their boss. One of them will get fired. No decisions made yet but one of them doesn’t stand a chance. There is a horrifying inevitability to the proceedings. A talented cast, a classic play, a theatre that regularly produces thrilling work (see A Doll’s House only a few weeks ago), where did all go wrong? You might have guessed that this production won’t make it to my top ten of the year, but a word of warning, my negative view of the production is considerably stronger than a mild dislike. Short disclaimer: I have seen a few plays by Anton Chekhov, but I haven’t seen Three Sisters before. I don’t dislike unconventional interpretations of classic plays, it’s up to every individual production to won me over. 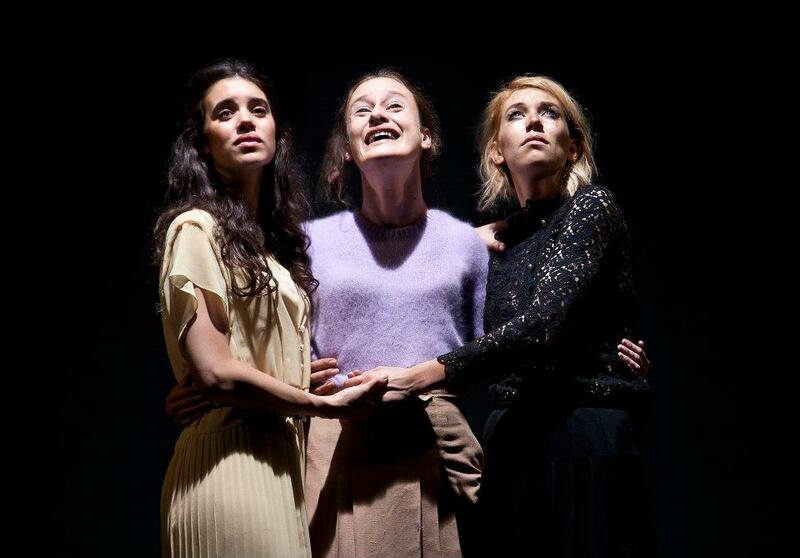 But Three Sisters at the Young Vic, adapted and directed by Benedict Andrews, is so far off the mark that at times I felt personally insulted it was wasting my time (and at three hours running time, that’s a lot of time to waste).